Sebastian Castellanos has had a decidedly rough past few years. His family fell apart, he lost his job, and he was trapped in a lethal hellscape created inside of a serial killer’s mind. And life isn’t yet done kicking him while he’s down. 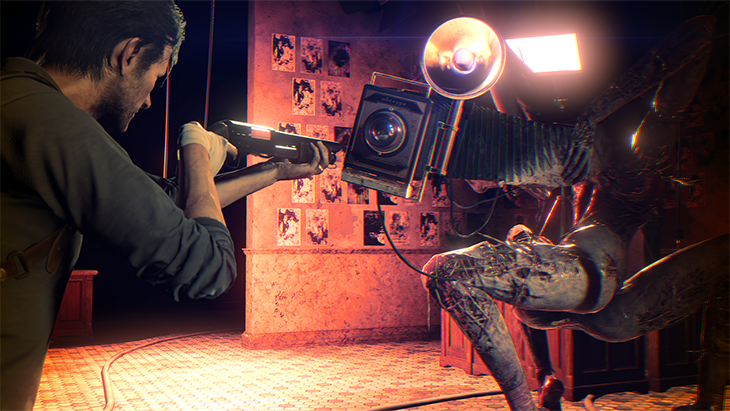 In The Evil Within 2, he’s been offered the chance to right the greatest wrong in his life and save his family, but he’ll have to step back into the nightmare in order to do so. Get caught up on the story here, and see the full rundown of everything there is to know (so far) about The Evil Within 2 below. After three years of eluding Sebastian, the true main antagonist from the first game is making its comeback. Mobius is a powerful yet shadowy corporation that says their goal is to bring peace and order to the world. They hope their mysterious STEM device, which allows for a shared consciousness experience by connecting human minds in an alternate world created using one Core brain, holds the key to this “peace and order.” However, their true motives have so far remained a mystery – one that Sebastian is determined to unravel as he explores the new STEM world, Union. Sebastian’s daughter Lily, who he had believed to have been dead for years, has actually been in Mobius’ clutches and is now missing inside of STEM. In order to find her, Sebastian will need to brush the cobwebs off his detective shield and use every skill at his disposal to better understand the world he finds himself trapped in. That’s where Sebastian’s new communicator device comes in. 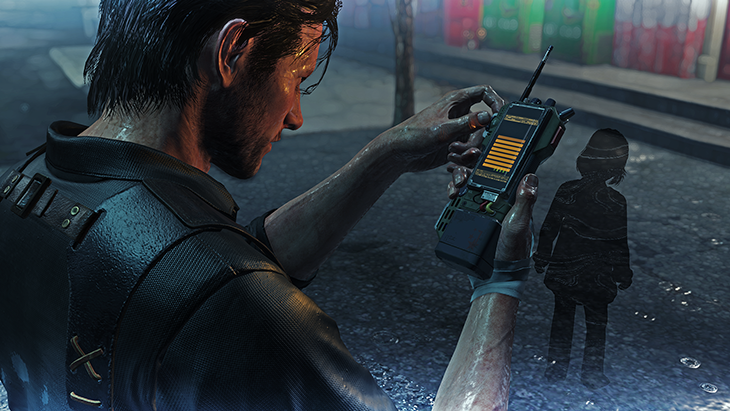 It allows him to maintain a connection with the real world, via his former protégé Juli Kidman, as well as learn more about Union and the situation there. When Sebastian locates one of the Resonance points, the information it reveals will help him piece together the story of what happened to Union, and maybe lead him to some helpful resources. Sebastian isn’t alone in Union, and even though he might not think that’s a good thing at first (he’s not on the best terms with Mobius), the Mobius agents he encounters will be crucial to his journey. The Evil Within 2 offers much more flexible pacing than its predecessor, and the non-linear nature of the world will allow you to do as much or as little exploring as you’d like. How you choose to play the game – whether you race through the world with guns blazing, or stalk quietly through the shadows while conserving ammo and finding every single hidden feature – is completely up to you. 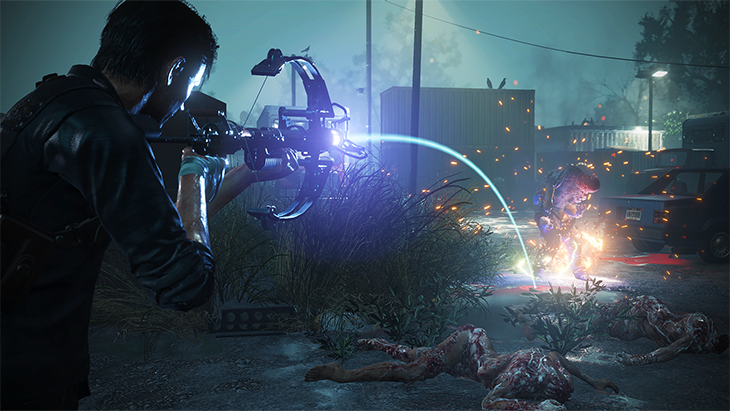 “This is a survival horror game and resources are very scarce, but this time we have a crafting system that will enable you to craft ammunition for the weapons you want to use or you think will be the most valuable for encounters,” Johanas says. You’ll still find ammo as you explore the world, but specific resources are randomized, so you can’t depend on finding what you want, when you need it. With the addition of the crafting system, you won’t be fully reliant on what you can hunt down on the streets on Union, which will give you more freedom to play how you want. The state of Union is a reflection of Lily’s mental state. Sebastian will need to track her down and save her before Union completely breaks apart. Along with the creepy crawlies roaming the streets of Union, you’ll have to deal with a (perhaps even creepier) human element, which Ohara-san mentioned above. You got your first look at the killers who have carved out their own little slice of STEM in our cinematic announce trailer: Stefano, the flashy photographer with a proclivity for “unconventional” beauty, and Theodore, whom we’ll have more details on in the coming months. Stefano and Theodore both have their own creatures to help carry out their will in Union. Born from Stefano’s twisted obsession with the artistry of death, Obscura’s design could almost be called elegant… if you had the same aesthetics as Stefano. Of course, that’s just one of the creatures you’ll encounter in The Evil Within 2. In addition to the signature enemies (we’ll have more to say about Theodore’s later) and the more common enemies you’ll see inhabiting the town, Sebastian will have to deal with his own personal demons in Union. “As if dealing with Stefano, Theodore and the denizens of Union isn’t enough, Sebastian’s own personal traumas from his past will be something that haunt him on his journey,” says Johanas. If you’re worried about being able to jump right into The Evil Within 2, don’t be. Despite having a deep story, The Evil Within 2 fully stands on its own and welcomes new players into the fold. 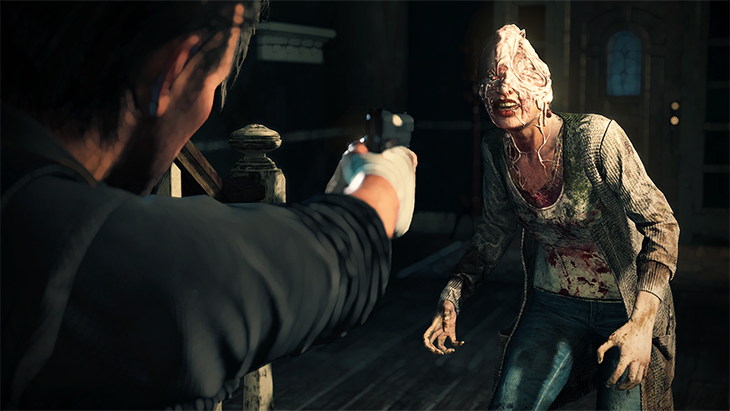 Both returning fans and newcomers to the series will be able to dive right in and enjoy everything The Evil Within 2 has to offer, though those who are new to the series may find themselves wanting to go back and play the original after finishing The Evil Within 2 to learn even more about Sebastian and his troubled past. 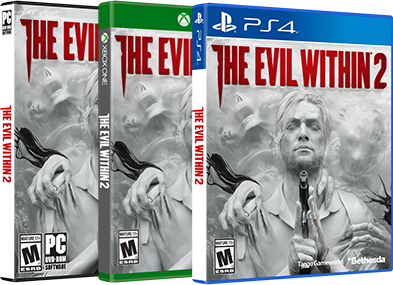 The Evil Within 2 launches worldwide on Friday the 13th in October 2017 on PlayStation 4, Xbox One and PC. Could there be a better launch date for a survival horror game?